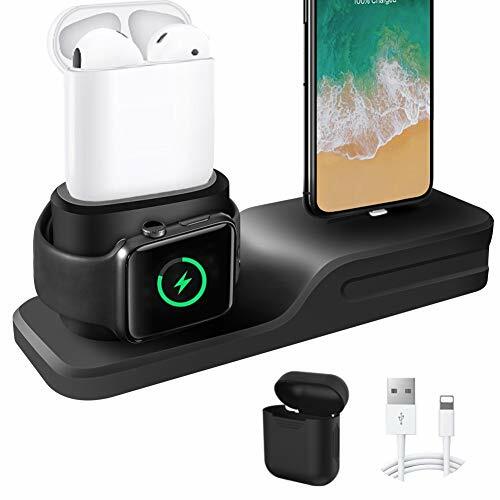 If you have two or more Apple products like iPhone, Apple Watch, Airpods and iPad, then this stand will be your favor. 2) Watch Adaptor and Devices NOT included. need to use a little force to let it fit through the hole.you can refer to the forth picture for the trick. Forcing it does then it will get easier after fitted in a few times. 2) Keep the cable tip much higher than the edge of hole to charge for Iphone/ Airpods with case. If you have any questions about this product by KEHANGDA, contact us by completing and submitting the form below. If you are looking for a specif part number, please include it with your message.